Olympus E-PL5 In The House! Thread: Olympus E-PL5 In The House! 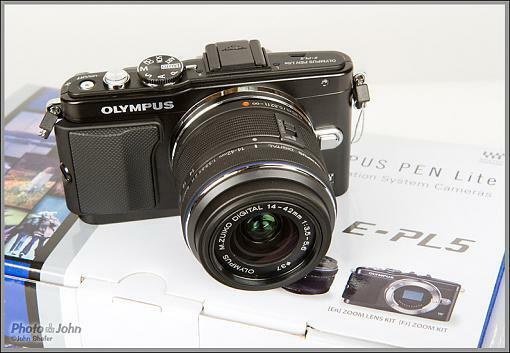 Re: Olympus E-PL5 In The House! Nice John. Why is the trend that most compact cameras lack good manual focus controls? Aimed at a different market than enthusiast? That has more to do with the lens than the camera, doesn't it? I mean, the kit lenses all have tiny focusing rings. But the Olympus primes are pretty good. Or am I not understanding you? John I mean manual aperture and shutter speeds. The E-M5 and NEX 7 great. Oh - you said manual focus. But yeah, you're right. The less expensive cameras are designed for photographers who are less likely to be using manual exposure controls. It's the same with digital SLRs. You get one exposure control dial on the Canon Rebels or what have you. But when you step up to the next level you get discrete controls for the shutter and aperture. I like having separate controls for both but I have learned that I work just fine without them once I get used to the camera. You get one exposure control dial on the Canon Rebels or what have you. But when you step up to the next level you get discrete controls for the shutter and aperture. I like having separate controls for both but I have learned that I work just fine without them once I get used to the camera. Olympus is one of the cameras I'm evaluating for my retirement entertainment. My interest is wildlife, scenery and grand kids. I've heard that the menu is difficult and I'm a bit concerned that the 16 megapixel count and smaller sensor will be a problem. What are your thoughts on those subjects? Sony alpha 6000 and Sony 7rII are the other cameras I'm considering. I love the fact that they are weather sealed and light (Olympus) and seem to have some very good lenses available.